Not my photo! Click the link! So The National have returned with their first album since 2013 and with much (justifiable) fanfare. I feel like some bands/artists have the public's adoration always at their side: Arcade Fire, LCD Soundsystem, The National. I almost wince a little when I tell people they are my favorite band, because I almost feel like I'm clinging to some sort of bandwagon/it cheapens them. Almost. But there's a reason that The National are so well-respected and so well-loved: They're that good. "Sleep Well Beast" seems to follow at the very point where 2013's "Trouble Will Find Me" left off, albeit into more adventurous territory. This was present in two of the first singles from the album: "The System Only Dreams In Darkness" and "Guilty Party." I have to admit "Guilty Party" was a grower for me, but that's sort of the appeal of The National. They're good, but subtly so. It's not ostentatious and not always so obvious. But when it hits you, it hits you like a wayward firetruck - they're brilliant. And for me, "Guilty Party" was representative of that. I like to think of this album as The National's "Kid A." I mean, they've already been termed the American Radiohead, so it makes sense. 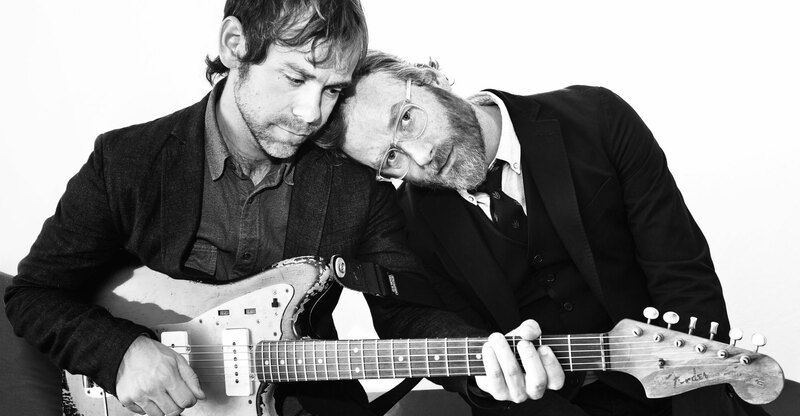 It's also an album about the disintegration of a marriage that is still in tact (in fact, Matt Berninger's wife Carin co-wrote some of the songs on the album. An exercise in couple preservation, I guess). "Carin at the Liquor Store" is one of my favorite tracks on "Beast," and it sounds much like classic, canon National. Plus, it includes a John Cheever reference, which is very suitable for the band's Brooklyn brand (even though the band has now moved to other parts of the globe, like Copenhagen and Cincinnati). But perhaps it's a sign of growth - and I'd like to think so, when we can mindfully breach the subjects that most crawl under our skin - that for some heavy subject matter, the album is not overly melancholic. Even with a song titled "I'll Still Destroy You," the band comes off as reflective and tired, but not overly depressed. Which proves for an enjoyable (if not somewhat pensive) listen. What "Beast" does carry with it, and immediately apparent from the title, is a sense of doom. Whether that's a dissolving relationship, waning health, or an ever-increasingly gloomy worldview, the doom is present on every decibel of "Beast." It's a (maybe unintentionally, probably not) political album without delving too far into preachy. I will say that there are moments I wasn't overly fond of on "Beast." I didn't feel like the opener was a good kick-off track - it felt like a song that should appear later in the line-up. And "Turtleneck," while reminiscent of the band that made "Mr. November," felt so out of place on this album. It's the most rock-driven of all the songs, but I kept thinking "WTH." It's an anomaly - not an awful song by any means, but bizarrely out of left field. "Walk It Out" - formally known as "Roman Candle" - is quite the treat, though. I felt like the album should have closed with this gentle melodic giant. To me, it's one of the strongest National tracks I've heard. "Day I Die," another single, is ... weirdly catchy and uplifting, for a song called "Day I Die." Well. It's an upside-down apocalyptic world right now, isn't it? Matt, famous for being somewhat wine drunk on stage, reveals a bit of his soul to us, again and again. And of course, another impressive thing worth mentioning is the instrumentation on this album. The Dessners, who are the backbone of The National, shine on various moments scattered throughout "Beast." Overall, I think it's too soon to tell where "Sleep Well Beast" falls in The National discography. It shines, it delivers, but it's not an instant charmer like "Boxer" or "High Violet." "Trouble Will Find Me" was similar in this vein - I didn't adore it at first. Of course, my opinion is one of many out there, and there's a reason this blog is called "The Useless Critic." Formulate your own, dammit! Rating: 92/100 - a strong A minus from me! Want an alternative perspective? Here's Karl Rove reviewing "Walk It Back." Free ringtones for people around the world. You can install it easily and do not spend a lot of time by following the instructions. Thanks for care!